What’s the most important thing about a bathhouse? You think it’s the right temperature and a switch of green birch twigs, don’t you? And what else can please fans of baths? 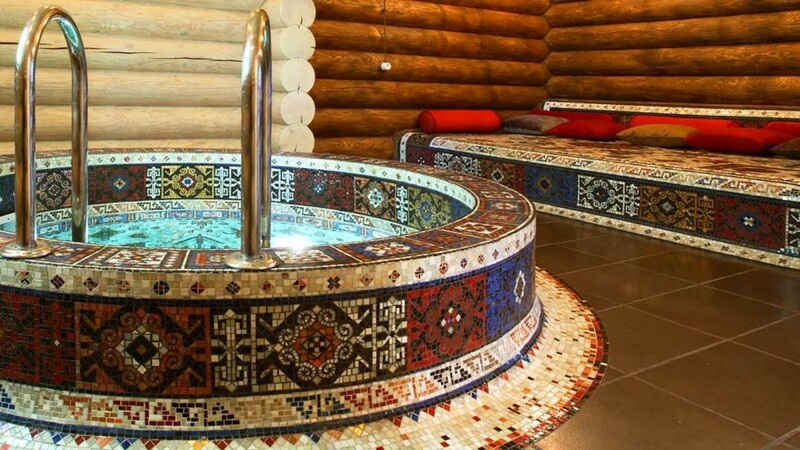 We’d like to show you three private bathhouse designs that would shatter your imagination with their amazing and tastefully designed interiors. This building is more like a gazebo or a summer guest house. 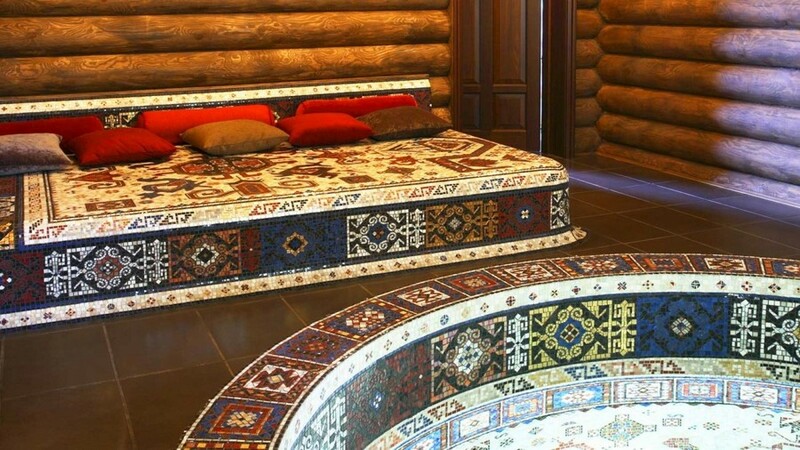 Under its big overhang one can take a rest in the open air or sweat in a Turkish bath. The idea behind this project is ultimate environmental friendliness. 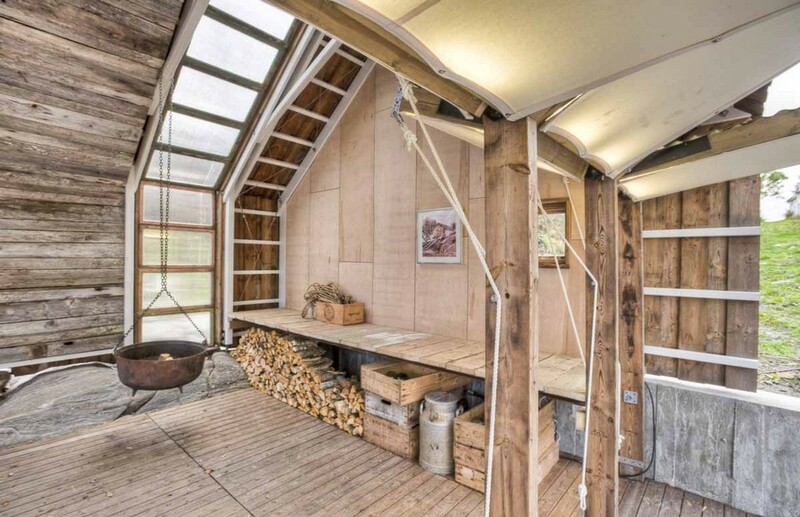 The house is very organically adapted to the surrounding nature; it offers much open space and provides every chance for privacy and relaxation at the same time. Besides, the bathhouse, the summer kitchen and the major residence are linked into a single architectural ensemble. Without solid walls, sunlight can easily penetrate inside, adding to the feel of having spa procedures under the open sky. 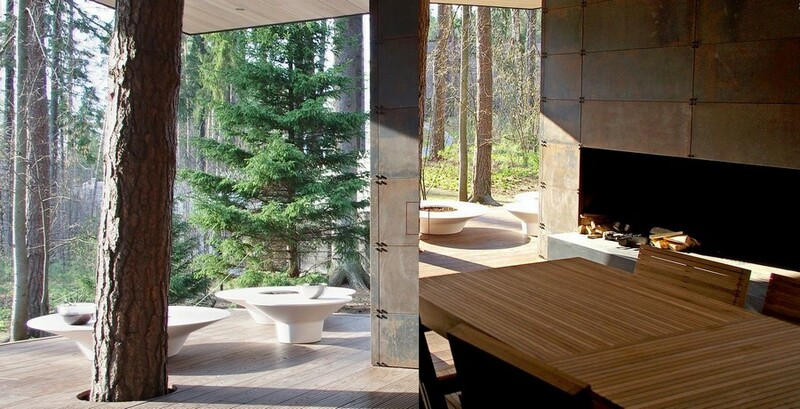 This bathhouse is a part of a big guest complex situated on the shore of a picturesque lake. The main residence is designed in contemporary style, with avant-garde notes. 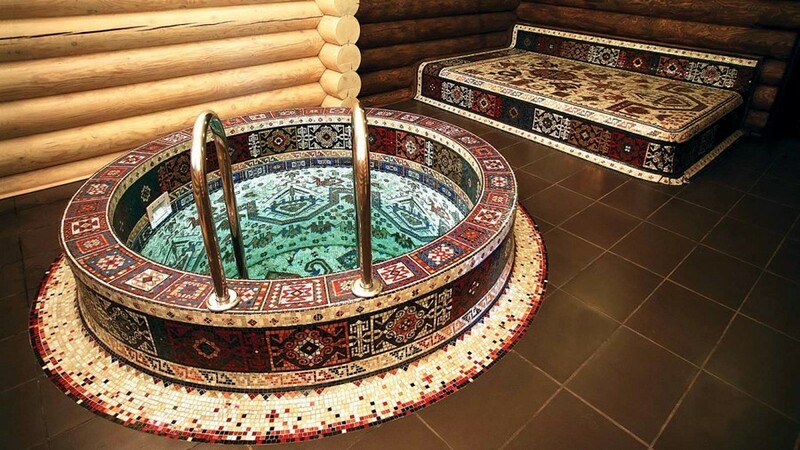 By contrast, the bathhouse is more like an old Russian hut. Inside there is a large light living room with a cozy bespoke fireplace faced with travertine. 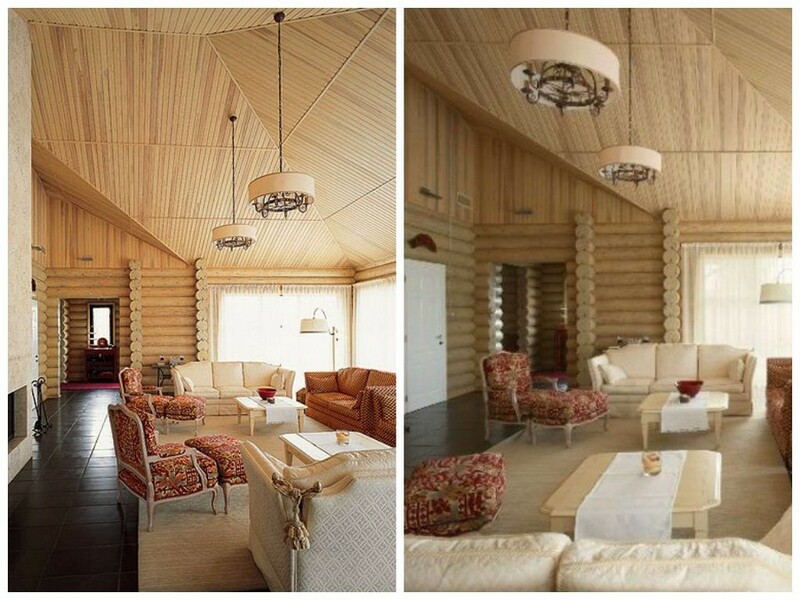 Coupled with classical-style upholstered furniture, it creates a perfect sense of hominess and comfort. The space with a swimming pool is functionally zoned by means of wall color: in the pool zone they’re “whitewashed”, while the relaxation area is designed in darker shades. 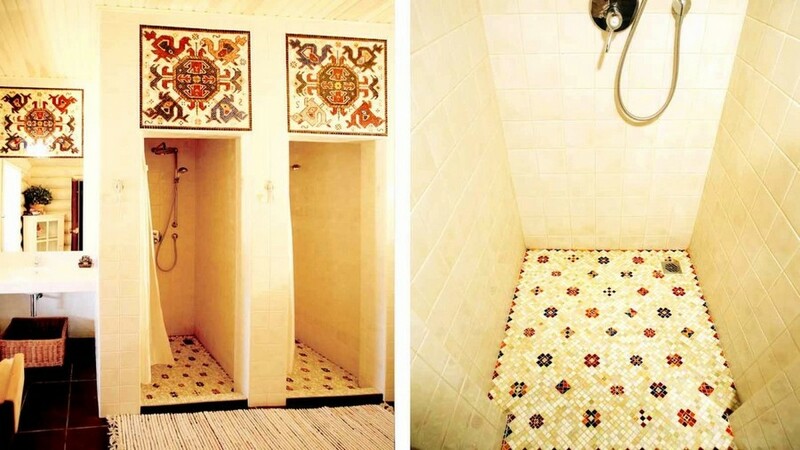 The stove bench and shower cabins are decorated with beautiful bespoke mosaic compositions. 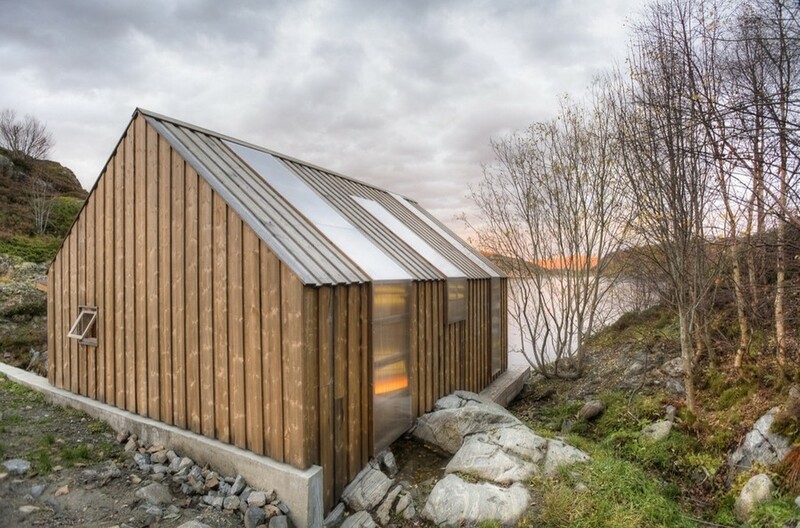 What can an old Norwegian boathouse on the shore of a fjord be turned into? Into a bathhouse, of course. FYI: If you decide to transform an old utility building into a bathhouse, there are three main points to consider primarily: reliable exterior and interior waterproofing, proper thermal insulation for keeping heat and safe wiring.